Parents of children with severe epilepsies may be able to prevent having a subsequent child with the devastating disease following an Australian-led research breakthrough. For the first time, a genetic link has been found between a child with epileptic encephalopathies - severe brain disorders that result in aggressive seizures and intellectual disability - and either of the parents. Up until now, it had been thought that the genetic abnormality that results in these conditions was new to the child. Published in leading medical journal The New England Journal of Medicine, the findings mean parents can have more accurate genetic counselling when planning a family, the researchers say. But this is not just about family planning, says co-author Professor Ingrid Scheffer, Austin Health Director of Peadiatrics and University of Melbourne Chair of Paediatric Neurology. "It's about preventing them from having a second child with a devastating illness," Professor Scheffer said. Epileptic encephalopathies affect at least one in 1500 each year just in Victoria. Children with the condition have a 15 per cent risk of dying before the age of 20. Researchers at Austin Health and the University of Melbourne with Dr Heather Mefford and Dr Candace Myers at the University of Washington studied 123 families, looking for the child's genetic mutation in 200 cells of both the mother and the father. They found in 10 of these families a parent carried low levels of the same mutation. For these eight per cent of parents, there is an increased risk of having a second child with the disorder, Professor Scheffer explained. "What we found is that where we thought a child's genetic abnormality was new in the child, causing these severe epilepsies of infancy and childhood, we found in fact it is not new in the child; in about eight per cent of patients one of their parents has it at a very low level in their bloodstream," she said. 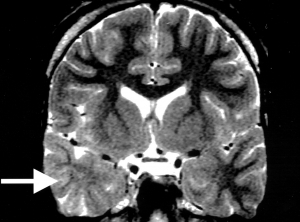 This means that the chances of these parents having another child with epileptic encephalopathies is increased; the more cells carrying the genetic mutation the greater the recurrence risk. "They have it without any knowledge and it's just bad luck if their child gets one of their six per cent (of cells carrying the mutation) say for example," Professor Scheffer said. Geneticists currently advise that the risk of recurrence of these disorders is low, at approximately one per cent, but this study shows that the risk could be much higher for a significant proportion of families. "These results provide support for targeted, high-coverage testing of parents who have a child with a diagnosis of developmental and epileptic encephalopathy. This testing will be helpful in counselling parents regarding the risk of recurrence," Professor Scheffer said. It's also thought this finding could have much broader implications. "I suspect for other diseases where a new mutation causes severe disease that the parent might actually be carrying it at low levels, I think this finding may have greater impact than just in the epilepsy" Professor Scheffer said.